Very nice old Watt Pottery Bak-ezee #9 Mixing Bowl made from 1935 to 1940. 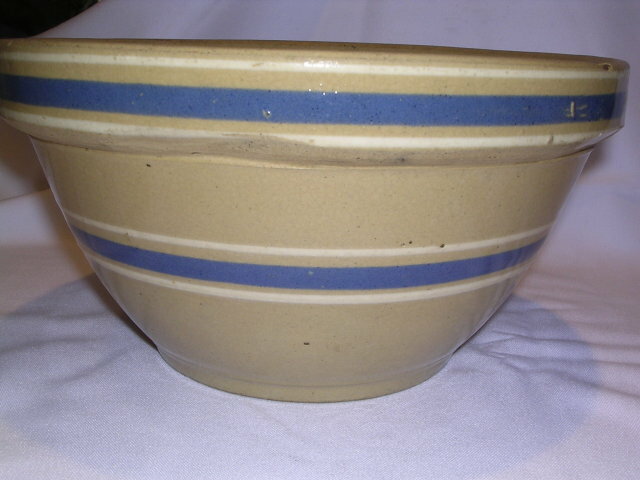 Pottery Blue and White Band Mixing Bowl. Measures 5 inches high and 9 plus across. 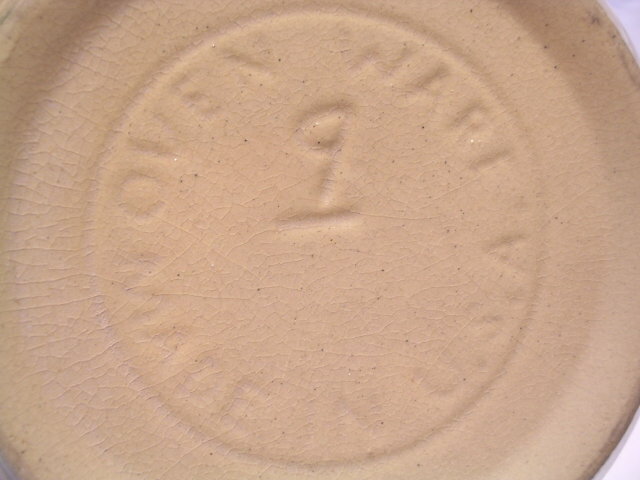 The bottom is clearly marked "Oven Ware Made in U.S.A. #9". The outside has a one inch lip trimmed with one blue and two white stripes. The same trim is on the bottom body of the bowl. In excellent condition. As shown in the photos there is one dark chip on the rim of the bowl as is the norm for the age of the bowl. Shows beautifully and is perfectly usable. 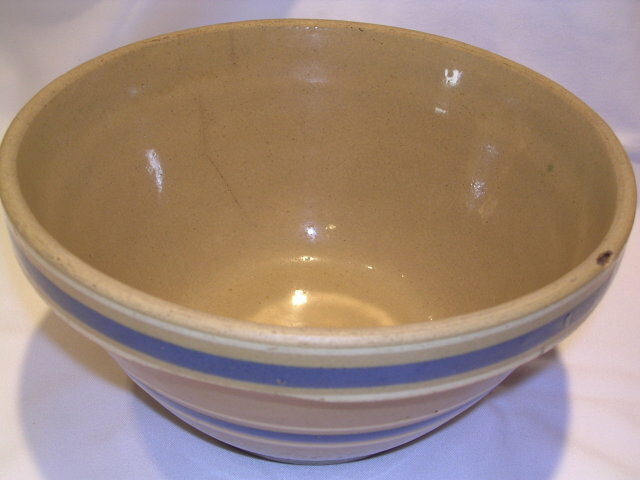 Items Similar To "WATT POTTERY BAK-EZEE 9 IN BLUE BAND MIXING BOWL"